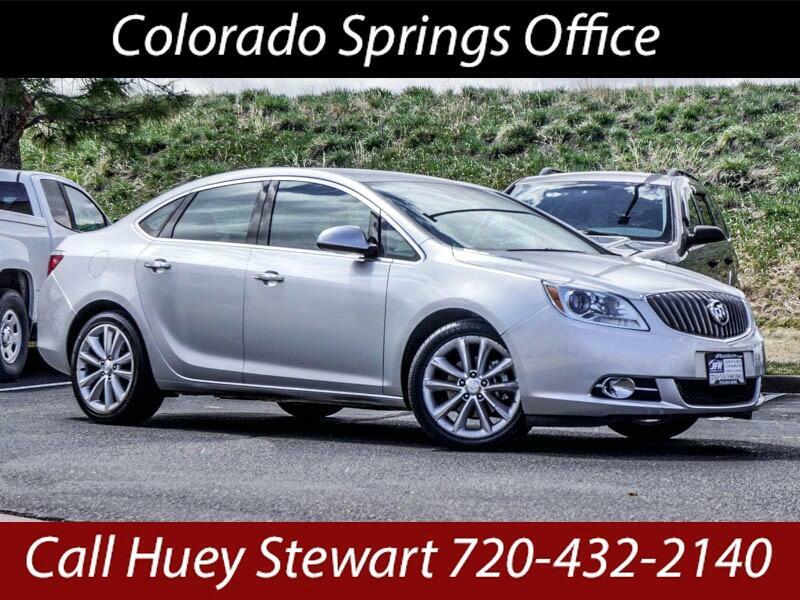 Used 2016 Buick Verano Leather for Sale in Littleton CO 80120 JFR & Associates, Inc. This Verano presents an upscale exterior with high-tech features and a well-crafted cabin that is sure to please. This compact luxury sedan seats five and offers a supremely quiet and smooth ride quality. You'll find that the steering is precise and this car corners well as it hugs the road. The cabin is pretty roomy inside with a well laid out instrumentation panel with controls that are easy to use and access. This Verano comes with a variety of options like tilt wheel, leather seats, heated front seats, keyless entry, Bose CD player with surround sound, a backup camera, heated steering wheel, Satellite Radio, plus lots more to make your driving experience more enjoyable and pleasant. You are cordially invited to take this Buick Verano for or a test drive and discover for yourself why this car is so popular. Contact us today and schedule your test drive. Call Huey Stewart at 720-432-2140 if you have any questions or if you would like to schedule an appointment to see this vehicle.